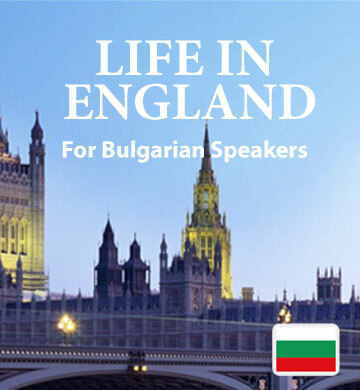 The first downloadable ebook and audio track in our series, “Life in England”, was designed to give Bulgarian speakers an inside look at how English is used out in the real world. Each short story in this collection was inspired by real-life events, which means that all of the vocabulary you encounter is relevant and useful to anyone in an English-speaking country, whether you’re there for a quick visit or thinking about immigration. Included in your download is the simple to use Easilang app, which makes it possible to keep learning English wherever you go with the help of your smartphone or mobile device.